Before you can head off to Gatineau Park or attend a music festival at Jacques Cartier, you'll no doubt want to make sure that your house is properly locked and your garage door is completely closed. What if you discover that you garage door isn't shutting down? You re-check the safety mechanisms that may be preventing the door from closing. But these features are turned off. You're back to square one, and don't know why the door is suddenly acting up. Gatineau Garage Door has dealt with this problem and many others in our experience as a leading garage door service. Too often, home or business owners believe that their garage door can work tirelessly all year round for many years. Fact is, only scheduled maintenance and servicing can ensure optimal, trouble-free performance. 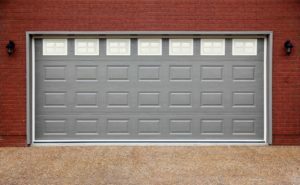 Tuning up the door opener, lubricating mechanical parts, tightening screws and bolts, looking for misaligned tracks and worn-out/damaged motors, and weather stripping, are essential preliminary essential to ensuring the continued reliability of your garage door. Our Gatineau garage door service performs a number of checks to help you understand the problem at hand, as well a complete garage door health check. By diagnosing problems early, you can avoid future emergencies and safety risks. Our credentialed technicians are courteous and provide an honest assessment encompassing all major door garages and opener brands. Our mobile garage door repair service is the most efficient solution to your repair and replacement woes. We get the job done perfectly the first time with great agility. Call us at (613) 627-3028 to book your appointment or learn more about our services.